Several open spots on a 7-day dive adventure on the Truk Lagoon Odyssey live aboard. Up to 5 dives each day, package includes one night accommodations at the resort and 7 nights on the dive boat. Dive boat includes all meals, drink and air fills including Nitrox. Marine Life, since the wrecks have been underwater for over 50 years they are covered in an abundance of corals fish and invertebrates. The colors vibrate with life in the 100’ clear warm water. Wrecks, there are over 45 shipwrecks within diving limits including merchant ships, aircraft and even a submarine. All the wrecks are still in great condition with numerous penetration opportunities and the ship’s holds are still full of artifacts in many of the wrecks. WW II History, this is where Truk shines. Truk was the “Pearl Harbor” for the Japanese Imperial Navy. The A llied forces sank over 45 ships, in a three-day bombing raid called Operation Hailstorm. 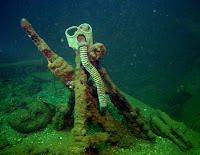 The wrecks are still in-situ, many still have empty shell casing, artillery guns and even tanks on board just as they were in the midst of battle when they sank. Package Details, the trip starts in Chuuk, where we board the Truk Lagoon Odyssey. A 132’ liveaboard dive ship. The Odyssey is geared perfectly for diving; they have their own compressor and Nitrox membrane onboard so you can get O2 fills up to 100% if certified. Mixes up to 32% are included in the package. On board the Odyssey the amenities are consistent with the world’s top liveaboards. ALL staterooms have private ensuite facilities, air-conditioning controls, DVD player. Plus there’s a separate entertainment lounge with TV, VCR (PAL & NTSC), DVD, stereo, library, large slide table, and bar. You fly into Chuuk on Friday where dive boat picks us up for 7 days of diving up to 5 dives each day. Wrecks, Wrecks, and More Wrecks! Ken & Windy Pfau with Terry & Donna Miller have put together the dive trip of 2008 and you are invited to come along. We have only 12 spaces for this trip so signing up early will be an advantage. You can travel for the diving or travel for the training. Better yet do a little of both and travel for the diving, training, and fellowship. We are offering two options for this adventure. Option 1 is as technical diver. You can continue your dive education in Chuuk. The water will be warm, clear, blue, and no there will be no sand. You can complete your technical diving in the warm clear water of Truk Lagoon, diving some of the world's famous ship wrecks. Can you think of a better place to do mask drills, gas shut-down drills, SMB drills, neutral buoyancy drills, and out of air drills? Now I have to admit that Truk Lagoon may not be the most fun place to take a written exam...but it will be warm and the sunsets are just off the scale. So bring your calculator, manual, and pencil with an eraser. Starting your technical diving education in Seattle is fun and exciting, finishing your training in Truk completing dives 7-12 in Chuuk is just plain cool. You can train with Ken, Donna or Terry on some of the most interesting wrecks in the world. Option 2 says that you have come to Truk Lagoon to dive, enjoy friends, dive, take in the beauty of the islands, dive, enjoy great food, dive, have a beverage of choice, sleep and dive. The pool is open and your diving is entirely up to you. Included in the $2,895 cost of this trip is your diving, all of your air, meals, drinks, sleeping accommodations, and boat crew tip. We are not arranging for airfare as many people have indicated that while in the South Pacific they may want to extend their vacation. Some say they may want to stop off in Guam or Hawaii on their way home, and yet others have air miles they want to use to maybe get a better seat on the plane. Ken likes to ride up front with the pilots...so we will meet in you Truk Lagoon. Not included in the cost of the trip is the cost of your O2. But it isn't too expensive and it really is a must for those technical diving. What to bring...your dive gear; technical or otherwise, lights, cameras, some clothes (b ut they are really overrated and you spend a lot of time in shorts or wet suits) a tropical wet suit 3.5 mm is recommended and a long suit is highly recommended as there as some sharp corners on these wrecks and a few jelly fish...well more than a few. Bring a save a dive kit inclusive with tools; once on the boat dive repairs are left to the divers and the crew, and the crew is not a well stocked dive center. The Blue Lagoon Dive Shop is a long ways away. 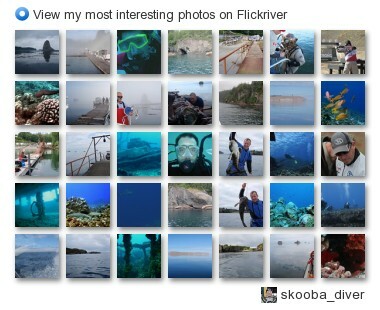 Interested in diving Truk Lagoon? A $850 non-refundable deposit holds your space. We anticipate this trip to fill up quickly as it is advertised throughout the diving community world wide. So secure your space and let the wreck diving adventure begin. Questions on expectations? Talk with Donna, Terry or Ken.